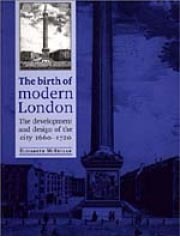 The period 1660-1720 saw the foundation of modern London. This work examines in detail the building boom and the speculative developers who created the new regularised landscape of brick houses laid out in spacious squares and streets. It offers a wealth of new information on their working practices, the role of craftsmen and the design thinking which led to the creation of a new prototype for English housing. The book concentrates on the mass-produced house of ‘the middling sort' which saw the adoption of classicism on a large scale in this country for the first time. It also shows, however, that the ‘new city' maintained a surprising degree of continuity with existing patterns of urban use and traditional architecture. The book offers a radical reinterpretation of the adoption of classical styles and ideas at the level of the everyday, challenging conventional interpretations of their use and reception in this country.